Day 22 - A Cupcake ATM???!!! Yaaaas... Also- FREE Pizza! Day 25 - A Fool For You! "2015 is an '8 year', a year of manifestation and complete progress in the world. It is a year of mastery, when we look back on our lives and understand the training and accomplishments that have led us here and now. We use this year to culminate the past 8 years and set forward the vision for the next nine years. It is considered a harvesting year." The Year Of Mastery was indeed a year of mastery, but not in the way I'd hoped. It really took me to task in terms of my entire physical reality, including everything from my financial life to the state of my health & home. By the last couple of months- I was no longer dreaming & scheming (as I'm so prone to do); I was hanging on for dear life! This year forced me to stay present to what is and to respond (as mindfully as possible) to one obstacle after the next. It definitely sharpened my resolve, strengthened my character & created mastery in terms of my ability to respond to whatever The Universe decides to throw my way. It brought me to a place of spiritual maturity, which I will be talking more about in January. I am able to respond. I am willing to respond. And- come to find out- I am HAPPY to respond to life each day, fully present to whatever comes my way with a spirit of adventure & a willingness to grow. And that, my magickal friends, has made me feel more kickass than ever! The Facebook challenges that I did on theme were an amazing way to connect with my tribe & I KNOW for a fact that many awesome friendships were formed that way. So yay! Witchy Vlogmas was a total blast, which prompted me to include more vlogs in my 2016 plans, and I got a HUGE kick out of playing around with food on Instagram. So there will definitely be more of that! I only interview people who thrill & inspire me, so I was honored by every single interview that I did this year. Still- a few stand out in my mind as being extra epic and those would include Laurie Cabot, Jeremy Crow, and Kim Huggens. We are crazy-blessed to be able to do & see & be so many things- things that were damn near impossible for our ancestors. ★ These old Victorian homes look like absolute magick to me! ★ This super sweet single dad leads classes to teach men how to do their daughter's hair! ★ Cher, at 69, becomes the face of Marc Jacobs' Fall campaign & a LOVE mag cover girl. 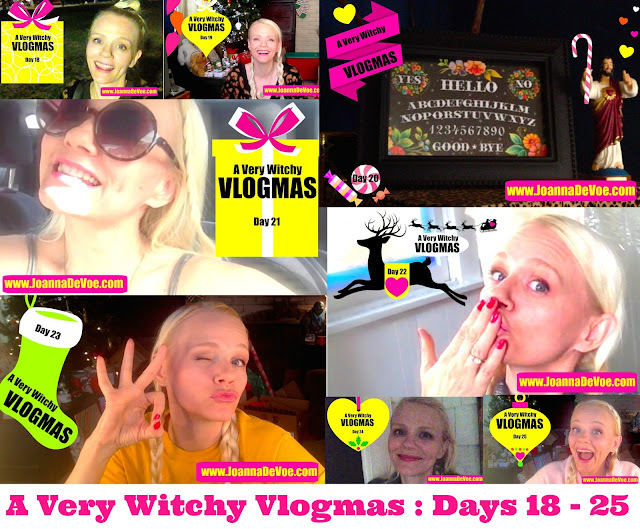 YOU are the #1 reason for doing what I do & I hope that 2016 is your most magickal year to date! Thank YOU for all you give! It was a fantastic year and I loved this review! Happy New Year, my friend! The Goop & The Numinous bookmarked and like almost all of those instas followed! Thank you and have a beautiful 2016!